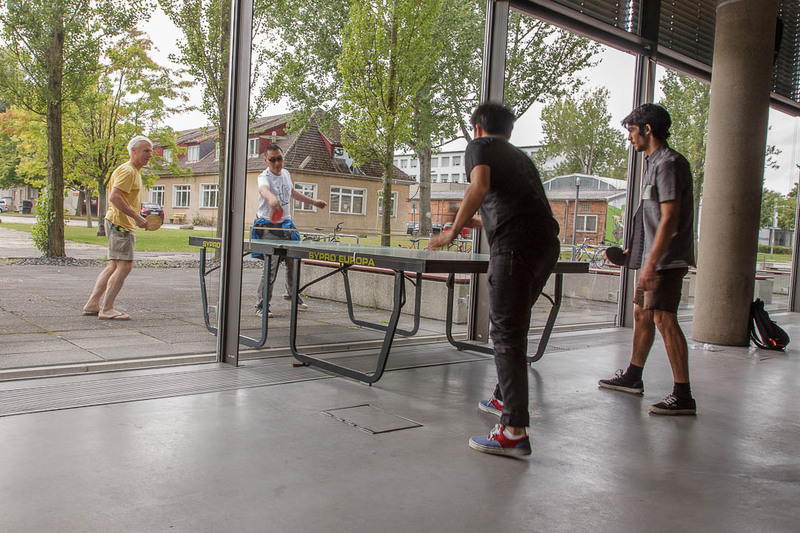 Finnfemfel was responsible for the main course of the summer academy 2012, with students from China, Iran, South Korea, Russia, Spain and Germany. “The classes are conceived for students and young professionals who wish to futher their studies. Moreover we invite sixth former and trainees. The subject of the main course “When life is the least art”. This claim could also be modified to a question and therefore just as well serve as the topic of our workshop. Let us look at both and more! Current events, behaviors, traditions, processes, observations, etc. 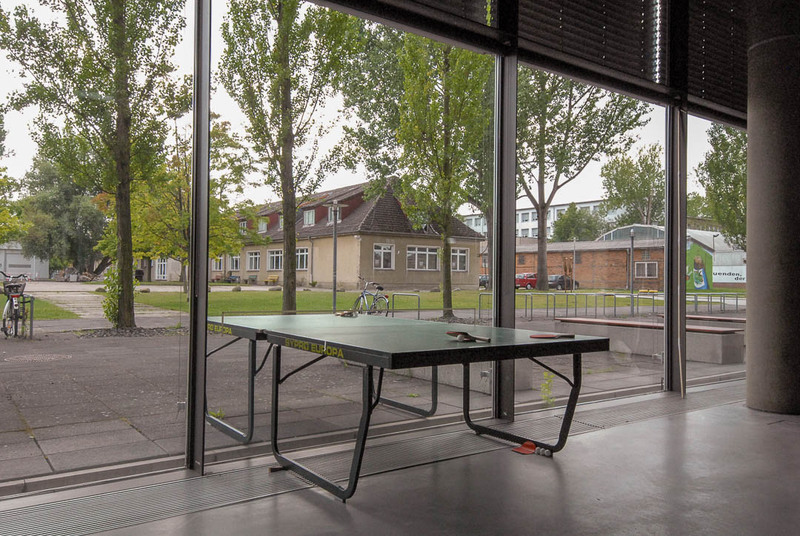 from everyday life will become our stores from where we collect ideas and materials for the workshop. This might be thoughts which you already carry with you, or ideas from your immediate surroundings and your colleagues on the spot. But above all, the Hanseatic city of Wismar will be our stage. Here we will work, live, act and interact. Rejoice and cry are included. Art in context. Our interest will be in either subtle or massive friction surfaces, transitions or confrontations between life and art, the slight or large imbalance and blur contradiction, art in context! In addition to the experience gained during the working process the focus in the workshop will be directed at the participants’ specific visualizations and designs of the individual ideas and concepts: through experiment and process to concept and product, or vice versa! This can already be done through interventions, actions and performances during the workshop in the public urban space in Wismar. Installation, action performance and performance art, photography, video, sound, drawing et cetera. Especially the final exhibition merges all works in terms of our content and visually in a structure like a show-jumping course. Technically and in terms of media, we will not exclude anything. This is also finnfemfels own philosophy. Curiosity, courage, experiment, interdisciplinary, collective thinking and working and the participants’ own interests are primary. The world is small, only we ourselves are our own limits. 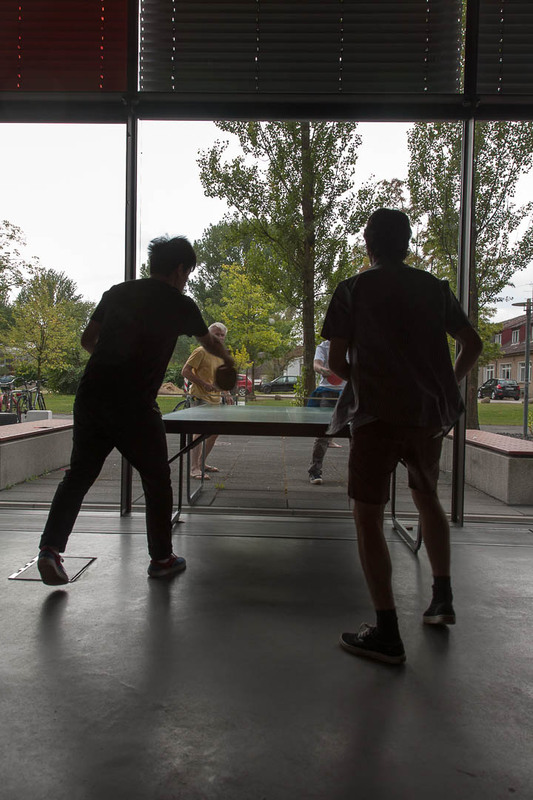 For the final exhibition of the summer academy finnfemfel made a interactive installation called Ping-Pong East meet West, how do we communicate. 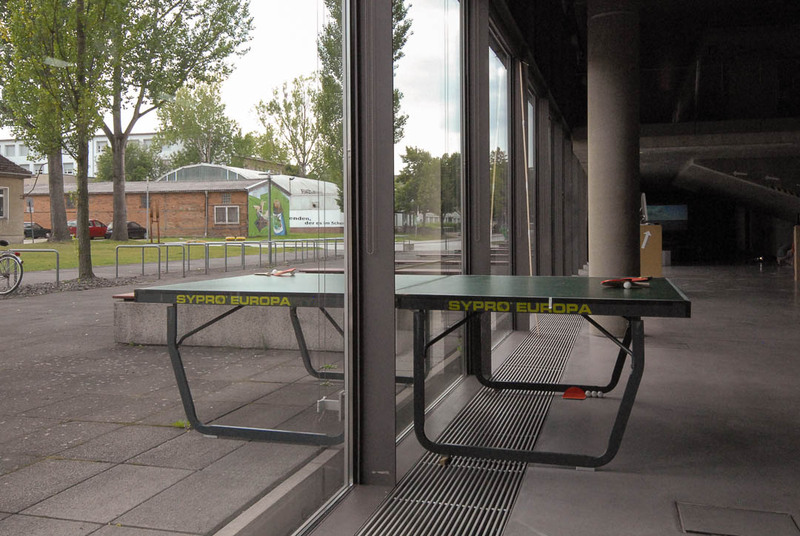 It’s a normal table tennis table divided by a window with four racquets and two balls.